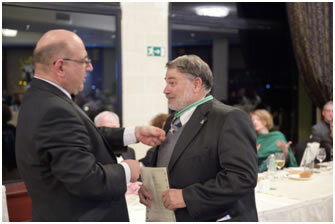 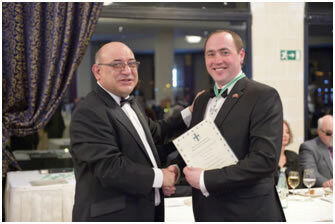 The Investiture Gala Dinner of the Grand Priories of Malta and Gozo after a hugely successful solemn investiture and Day Two of the European Conferences co-hosted by the Saint Lazarus Foundation on the topic of inclusivity for the disabled and the disadvantaged in the European labour market was held on the 17th of February 2017. 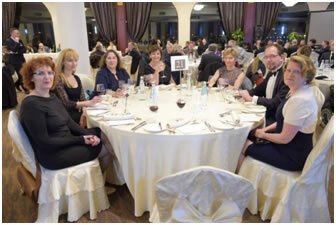 It was indeed one of the biggest gala dinners ever organised in Malta by the Grand Prioires with delegates from all the EU countries present. 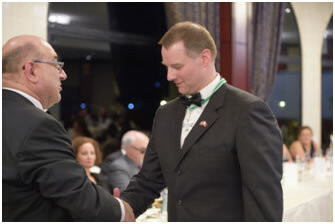 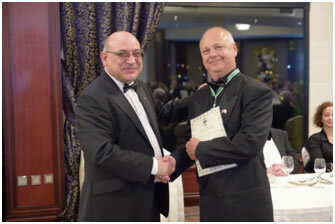 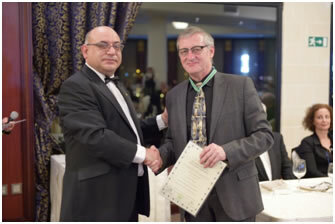 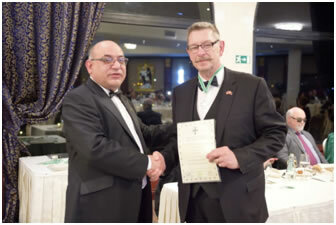 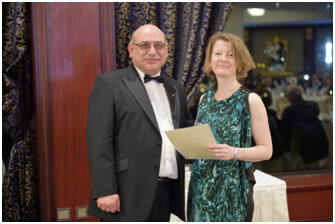 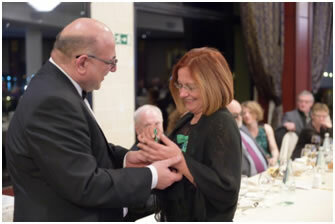 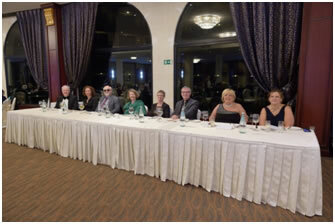 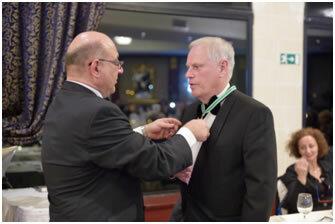 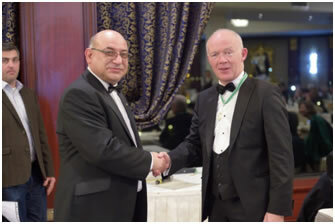 The Gala Dinner also acknowledged the good works and deeds done by a number of Confreres and Consoeurs throughout Malta, Canada, Italy, Wales, Northern Ireland, Belgium, Germany, Russia, Greece and other countries. 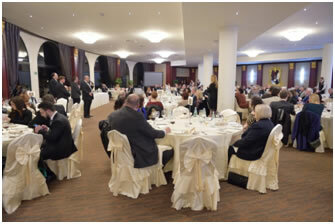 Present for the Gala Dinner was the Grand Chancellor of the Order, Chev. 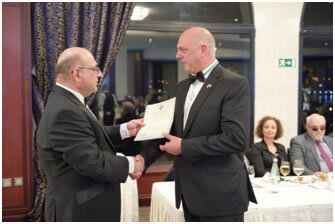 Max Ellul, the Grand Prior of Germany, Chev. 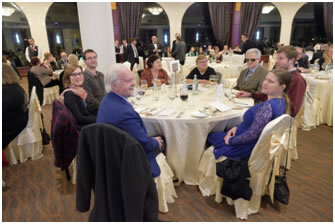 Peter Neuen, Consoeur Margaret Haddock, President of the European Union of Supported Employment, Confrere Michael Champ, Secretary General of the World Association of Supported Employment, Confrere James Crow, President of the European Association of Service Providers for the Disabled, Confrere Luk Zelderloo, Secretary General of the European Association of Service Providers for the Disabled, Conseour Marthese Mugliette, President of the Malta Federation of Organisations Persons with Disability, Consoeur Catherine Naughton, Executive Director of the European Disability Forum, Confreres Richard Henderson, Marcel Schur, Jamie Schur, Chad Reed, Fraser McInnes from the ERRC delegation of Canada, Confrere Comte Rossano Alberto Rosso from the ERRC delegation of Italy and many other distinguished guests. 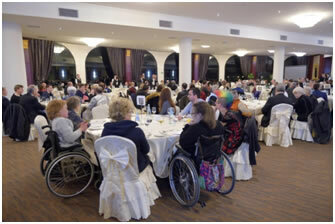 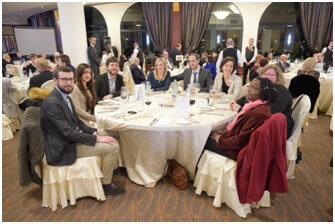 The gala dinner was also addressed by Confrere Yannis Vardakastanis CMLJ, the President of the European Disability Forum. 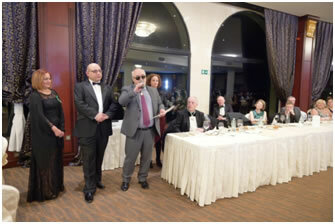 Yannis, on behalf of the other recipients of the accolades of merit, thanked the Saint Lazarus Foundation for recognizing their work on behalf of the disabled worldwide and congratulated St. Lazarus for their professionalism and help in ensuring a hugely successful European Conference on work inclusivity for the Disabled in Malta during the European Disability Forum's 20th anniversary celebrations. 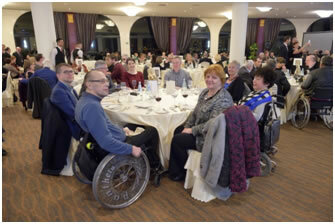 The St. Lazarus Foundation is a proud and active member of the EDF, which represents 80 million disabled in Europe. 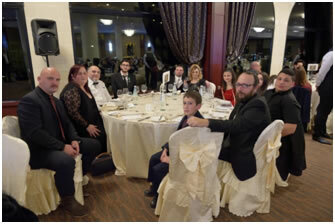 The food was stupendous and the night's surprise featured a rendering of Italian ballads by newly promoted Commander of the Order, Confrere Joseph Lia. 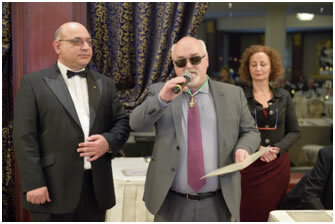 Lia is one of Malta's leading baritones and has performed throughout Europe and Asia with the most prominent names in the classical and operatic world.